What causes the body to age? The Greek Philosopher Aristotle thought it was the heart—a “hot, dry” organ at the seat of intelligence, motion and sensation. Fast-forward a few centuries, and the brain has overthrown the heart as master of thought. But its control over bodily aging—if any—was unclear. 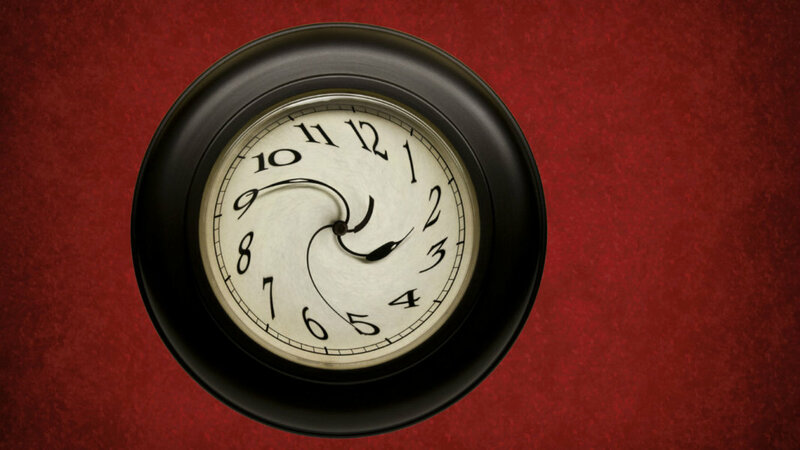 Because each organ has its own pool of stem cells to replenish aged tissue, scientists have long thought that the body has multiple “aging clocks” running concurrently. As it turns out, that’s not quite right. This week, a study published in Nature threw a wrench into the classical theory of aging. In a technical tour-de-force, a team led by Dr. Dongsheng Cai from the Albert Einstein College of Medicine pinpointed a critical source of aging to a small group of stem cells within the hypothalamus—an “ancient” brain region that controls bodily functions such as temperature and appetite. Like fountains of youth, these stem cells release tiny fatty bubbles filled with mixtures of small biological molecules called microRNAs. With age, these cells die out, and the animal’s muscle, skin and brain function declines. However, when the team transplanted these stem cells from young animals into a middle-aged one, they slowed aging. The recipient mice were smarter, more sociable and had better muscle function. And—get this—they also lived 10 to 15 percent longer than mice transplanted with other cell types. To Dr. David Sinclair, an aging expert at Harvard Medical School, the findings represent a “breakthrough” in aging research. It’s incredible to think that a tiny group of cells in one brain region could be the key to aging. But to Cai, there are plenty of examples throughout evolution that support the theory. Experimentally changing a few of the 302 neurons in the nematode worm C. elegans is often sufficient for changing its lifespan, he says. Of course, a mammalian brain is much more complicated than a simple worm. To narrow the problem down, Cai decided to zero in on the hypothalamus. Even so, it was a high-risk bet. The hippocampus—because of its importance in maintaining memory with age—is the most popular research target. And while the hypothalamus was previously somehow linked to aging, no one knew how. Cai’s bet paid off. In a groundbreaking paper published in 2013, he found that a molecule called NF-kappaB increased in the hypothalamus as an animal grew older. Zap out NF-kappaB activity in mice, and they showed much fewer age-related symptoms as they grew older. But here’s the kicker: the effects weren’t limited to brain function. The animals also better preserved their muscle strength, skin thickness, bone and tendon integrity. In other words, by changing molecules in a single part of the brain, the team slowed down signs of aging in the peripheral body. But to Cai, he had only solved part of the aging puzzle. At the cellular level, a cornucopia of factors control aging. There is no the key to aging, no single molecule or pathway that dominates the process. Inflammation, which NF-kappaB regulates, is a big contributor. As is the length of telomeres, the protective end caps of DNA, and of course, stem cells. Compared to other tissues in the body, stem cells in the brain are extremely rare. So imagine Cai’s excitement when, just a few years ago, he learned that the hypothalamus contains these nuggets of youth. Now we can put the two threads together, and ask whether stem cells in the hypothalamus somehow regulate aging, he says. In the first series of experiments, his team found that these stem cells, which line a V-shaped region of the hypothalamus, disappear as an animal ages. To see whether declined stem cell function contributes to aging, rather as a result of old age, the researchers used two different types of toxins to wipe out 70 percent of stem cells while keeping mature neurons intact. The results were striking. Over a period of four months, these mice aged much faster: their muscle endurance, coordination and treadmill performance tanked. Mentally, they had trouble navigating a water maze and showed less interest in socializing with other mice. “All of these physiological changes reflected an acceleration in aging,” Cai and team concluded in their article. And the consequences were dire: the animals died months earlier than similar transgenic animals without the toxin treatment. If the decline in stem cell function is to blame for aging, then resupplying the aged brain with a fresh source of stem cells should be able to reinvigorate the animal. To test this idea, the team isolated stem cells from the hippocampus of newborn mice, and tinkered with their genes so that they were more resilient to inflammation. We know the aged hypothalamus has more inflammation and that hurts stem cells, so this step was necessary, explained the authors. When transplanted into middle-aged mice, they showed better cognitive and muscular function four months later. What’s more, they lived, on average, 10 percent longer than mice transplanted with other cell types. For a human, that means extending an 85-year life expectancy into 93. Not too shabby. But the best was yet to come. How can a few cells have such a remarkable effect on aging? In a series of follow-up experiments, the team found that the pool of biological molecules called microRNAs was to thank. microRNAs are tiny molecules with gigantic influence. They come in various flavors, bearing rather unimaginative names like “106a-5p,” “20a-5p” and so on. But because they can act on multiple genes at the same time, they pack a big punch. A single type of microRNA can change the way a cell works—whether it activates certain signaling pathways or makes certain proteins, for example. While most cells make microRNAs, Cai found that the hypothalamus stem cells have a “unique, very strong” ability to pack these molecules up into blobs of membrane and shoot them out like a bubble gun. Once outside the cell, the microRNAs go on a fantastic voyage across the brain and body, where they tweak the biology of other tissues. In fact, when the team injected purified little bubbles of microRNAs into middle-aged mice, they also saw broad rejuvenating effects. Cai explains: we don’t know if the microRNAs are pumped out to directly affect the rest of the body, or if they first act on different areas of the brain, and the brain goes on to regulate aging in the body. Even so, the aging field is intrigued. According to Dr. Leonard Guarente, an aging biologist at MIT, the study could lead to new ways to develop anti-aging therapies. What’s more, it’s possible the intervention could stack with other known rejuvenating methods, such as metformin, young blood or molecules that clean out malfunctioning cells. It’s possible that stem-cell therapy could boost the hypothalamus’ ability to regulate aging. However, scientists still need to know how stem cells link with the hypothalamus’ other main role, that is, releasing hormones. Of course, injecting cells into the brain isn’t a practical treatment. The team is now working hard to identify which of the thousands of types of microRNAs control aging and what exactly they do. Then the goal is to validate those candidate anti-aging microRNAs in primates, and eventually, humans. “Of course humans are more complex. However, if the mechanism is fundamental, you might expect to see effects when an intervention is based on it,” says Cai.